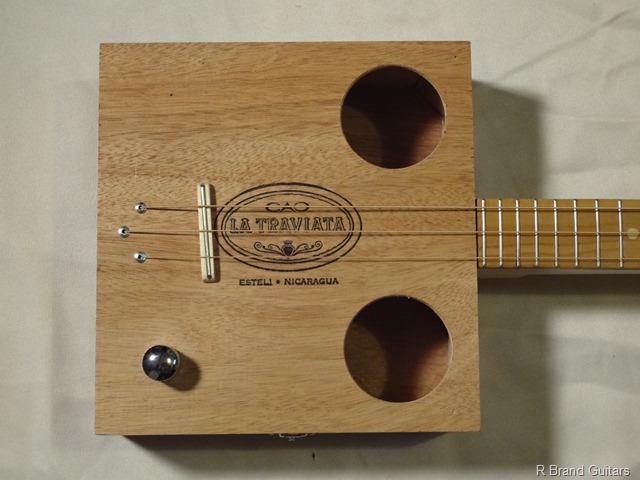 This is a smaller box but its nice and deep, the thin top and the over sized sound holes give you lots of volume. 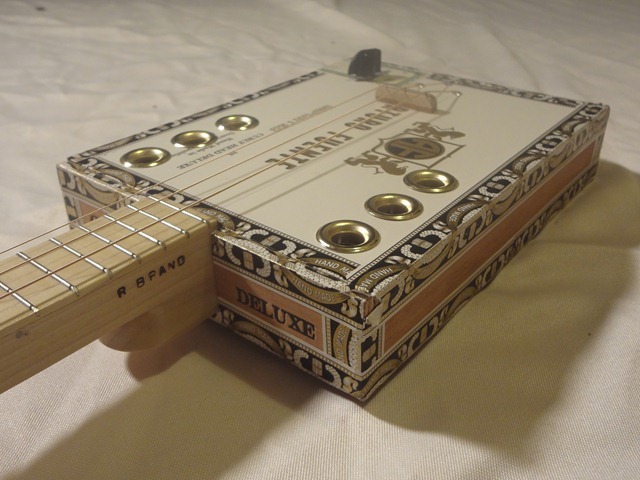 Plugged in you you get a great CBG tone, and a nice amount of controllable feedback. 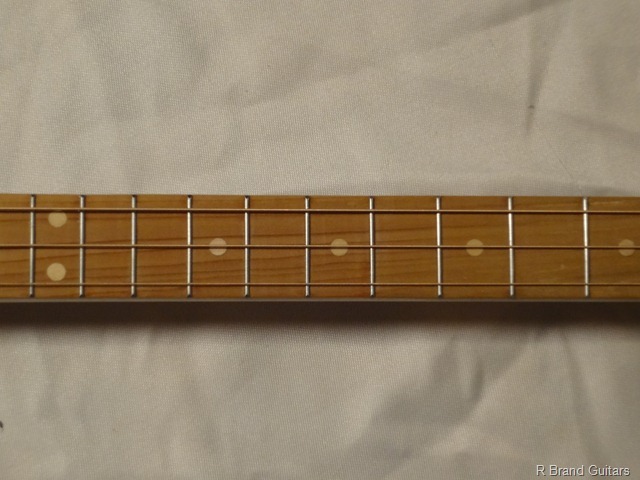 My favorite thing about this guitar though is how she looks, she has an awesome vintage vibe about her, the simple wood box, Poplar neck and Cedar fret board. 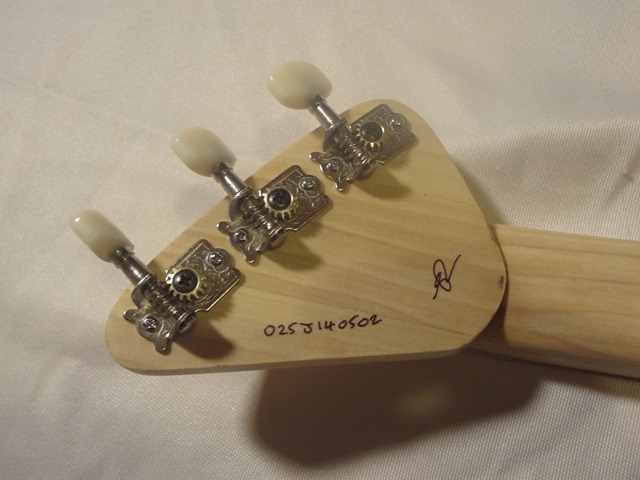 We did add a chrome style volume know just for a little bling. 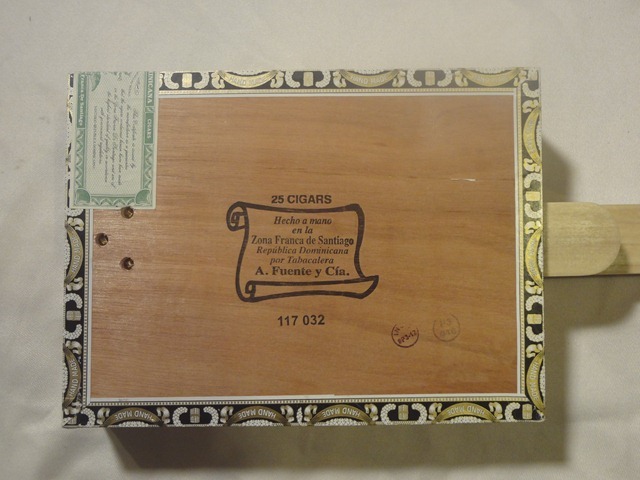 This is a great looking box, lots of nice wood grain and a cool wrap around sticker. 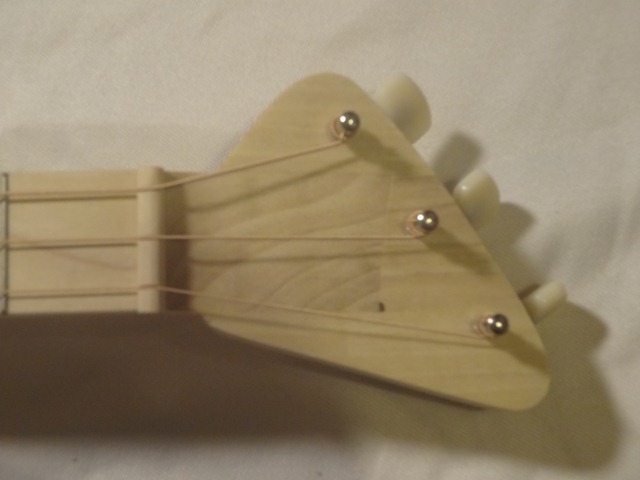 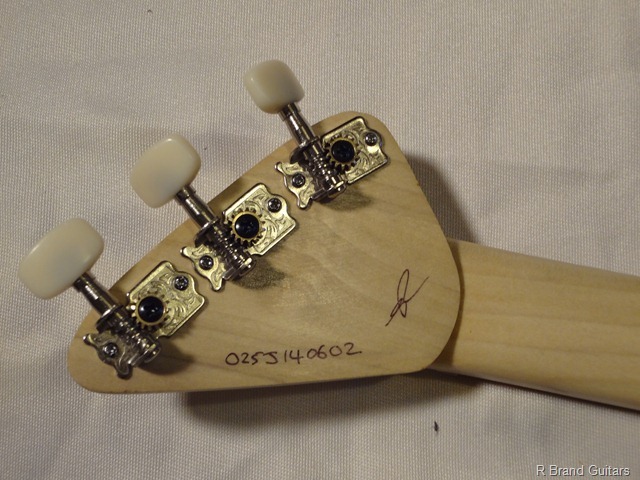 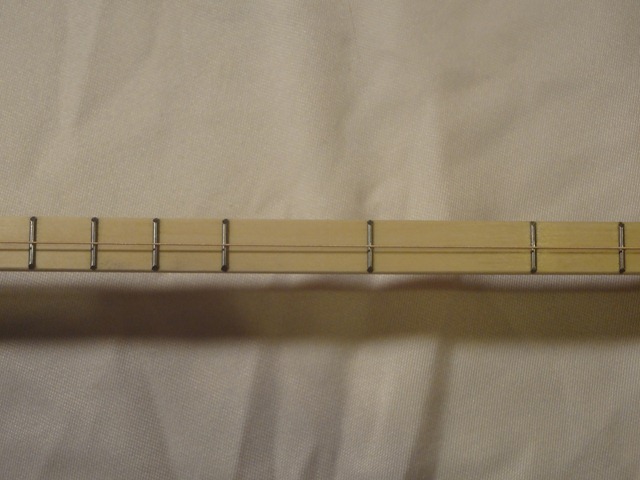 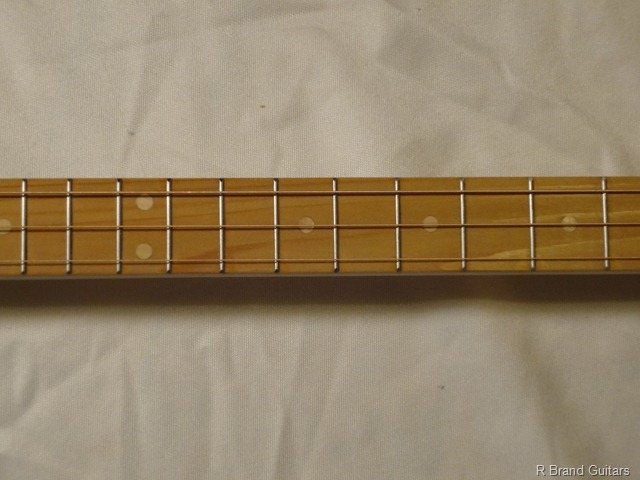 We cut some very stylish f holes, used a Poplar neck topped with a Cedar fret board and maple fret makers. 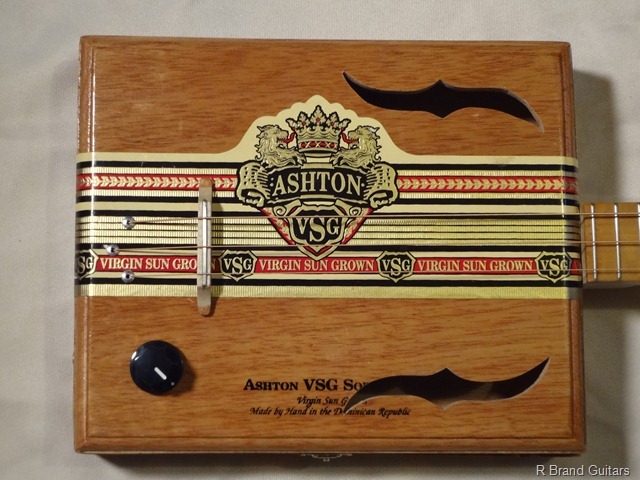 Don’t let her good looks fool you though, she is all business when it comes to tone, the box is nice and thick which give a full round sound. 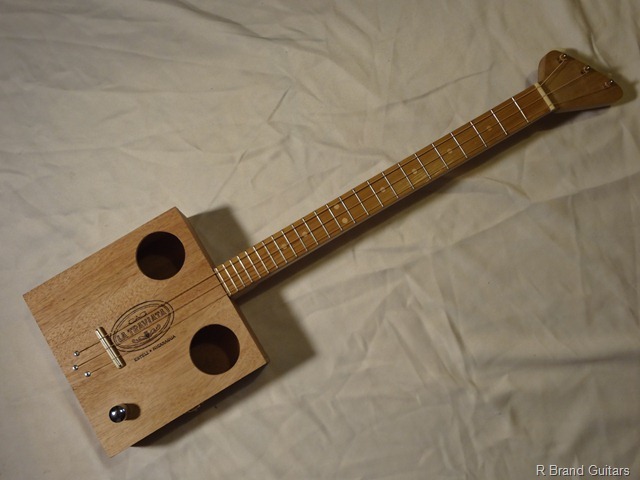 She might not be the loudest acoustically, because of the thick top, but she can still hold her own, but plug her in and and she howls. 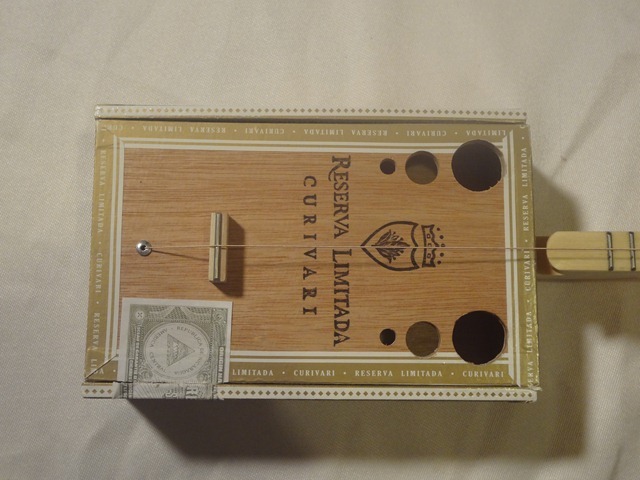 This little gem sounds scarier than it is, the Esteban Carreras Chupa Cabra box is a good thick box very much like the Undercrown boxes we love. 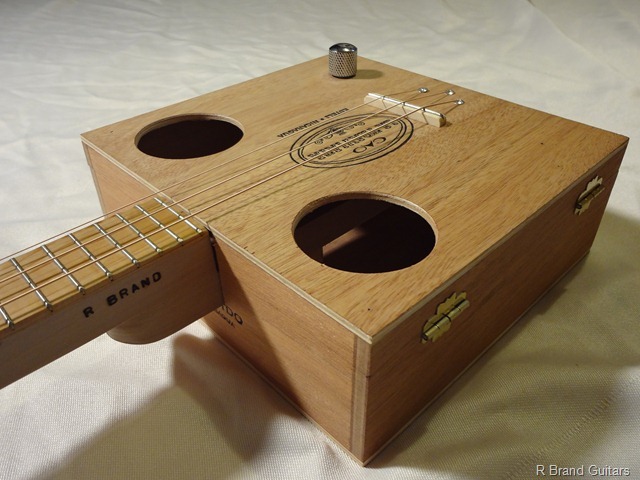 The thick lid is surprisingly resonant and offers plenty of sustain, we cut two large sound holes to let all the great tone escape. 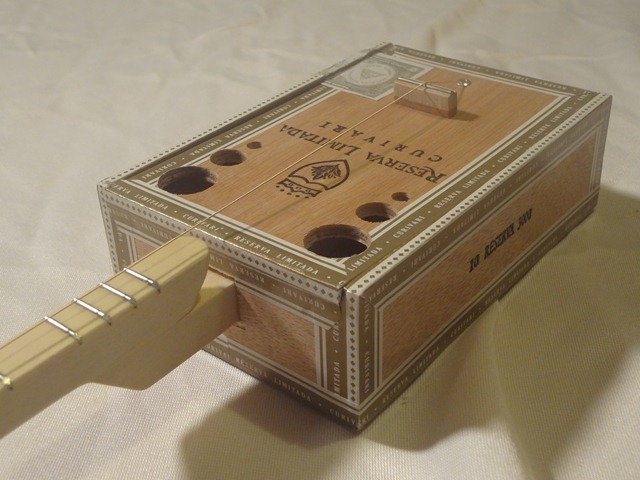 Plugged in you get a wonderful warm CBG sound thanks to that thick box. 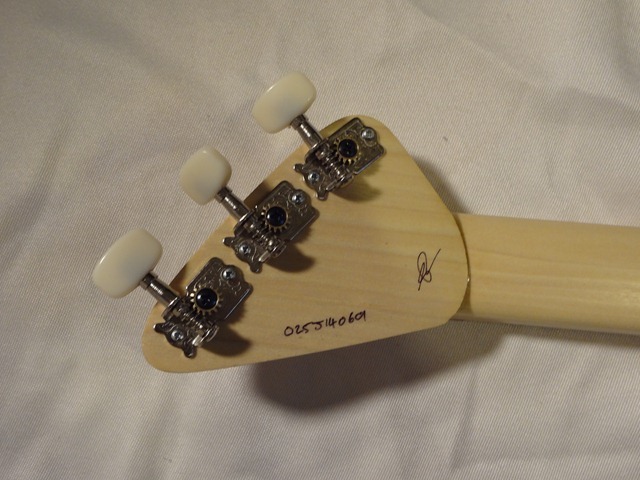 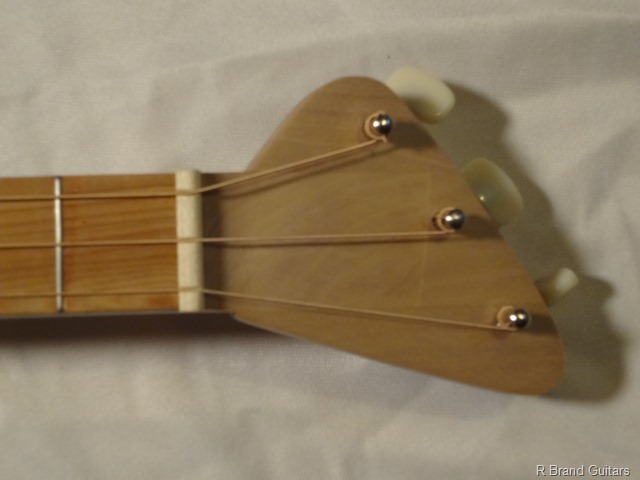 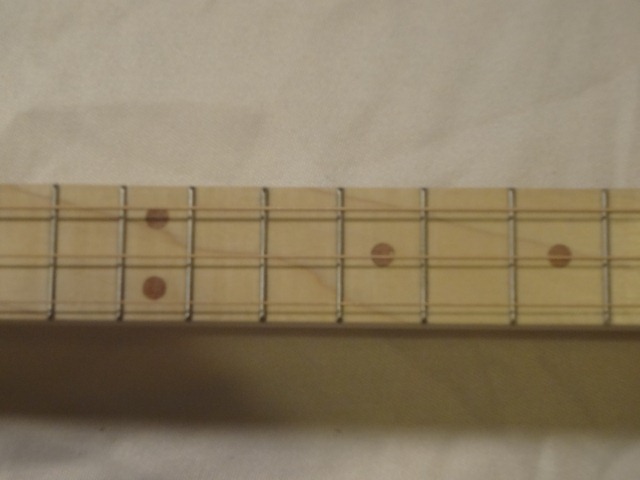 A Poplar neck and finger board with Rosewood fret markers top everything off. 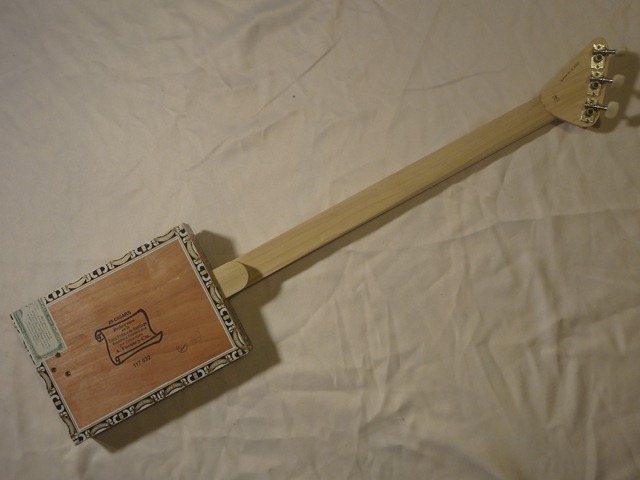 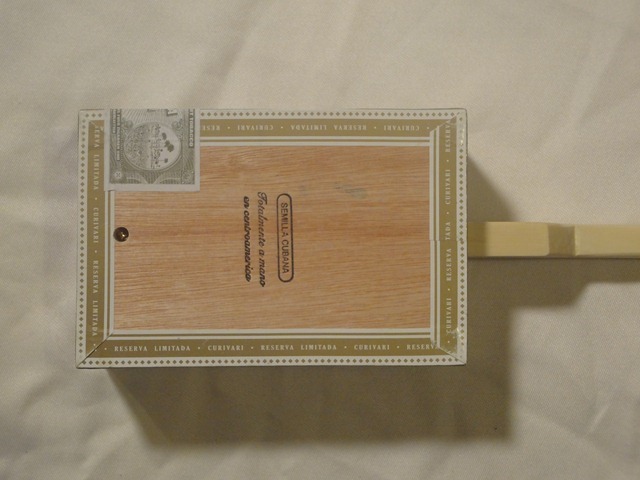 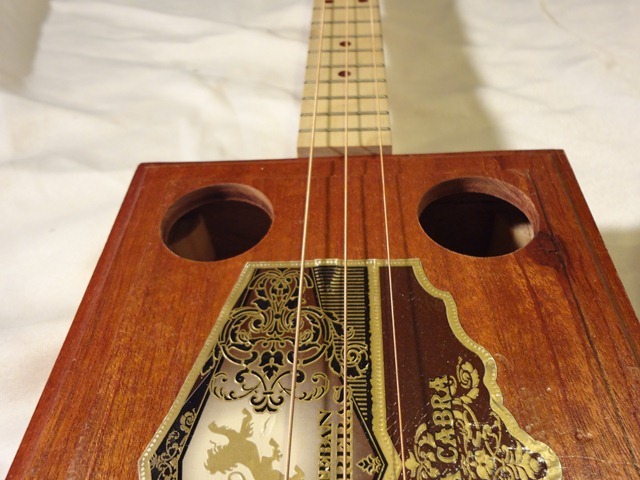 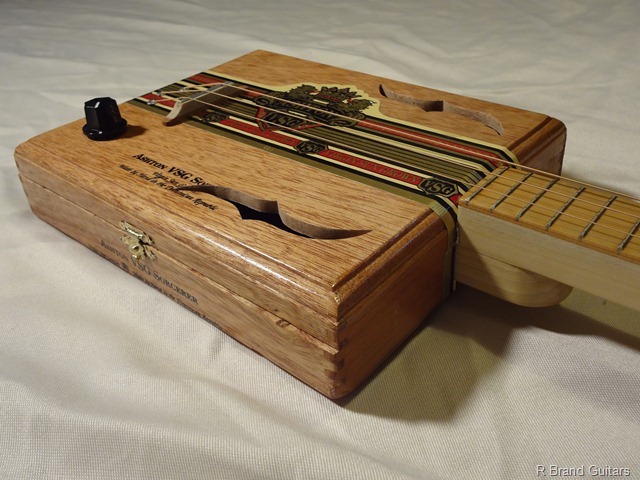 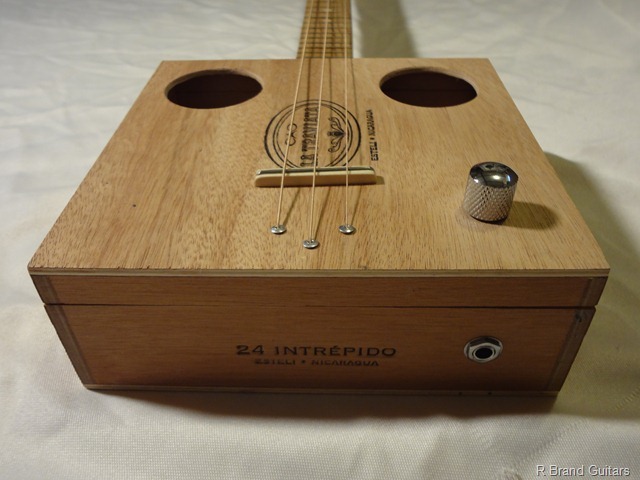 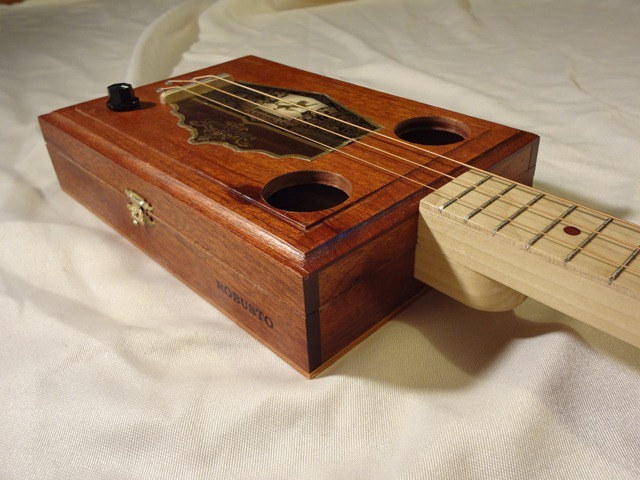 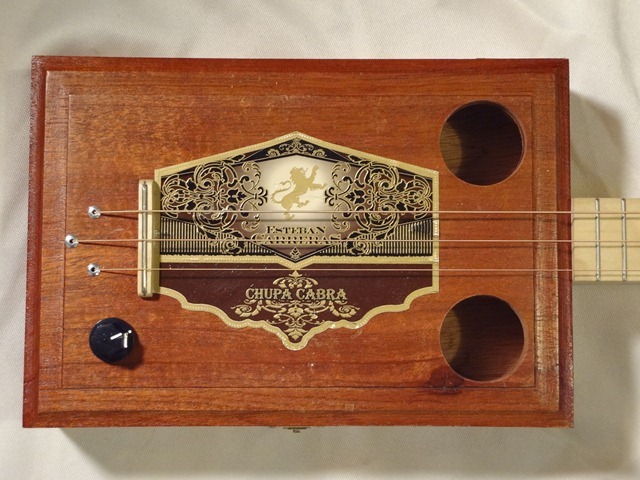 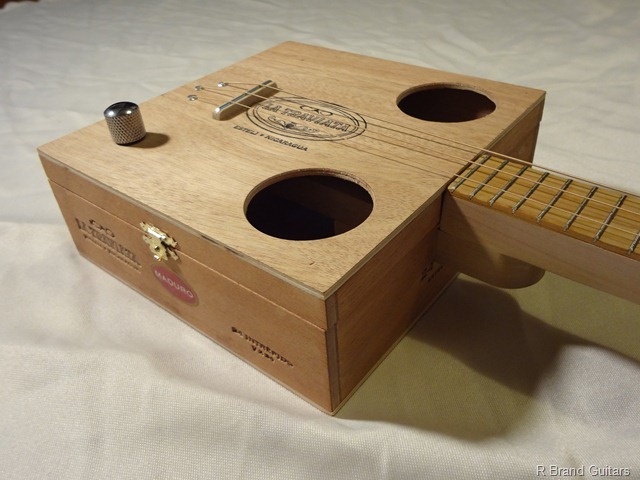 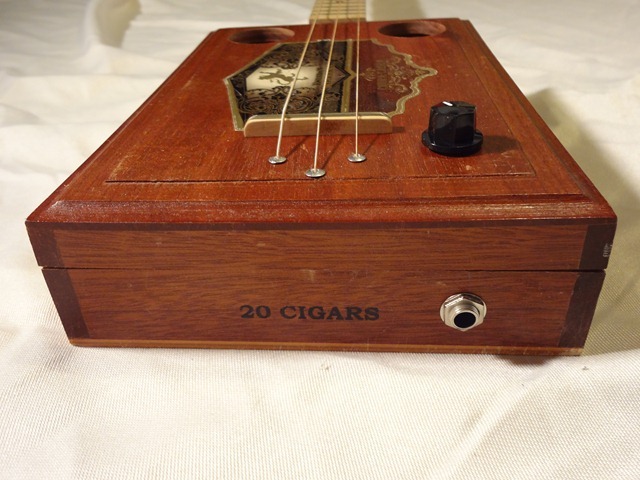 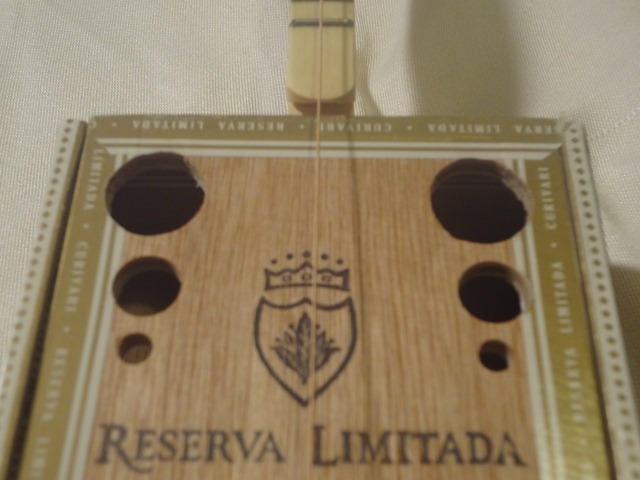 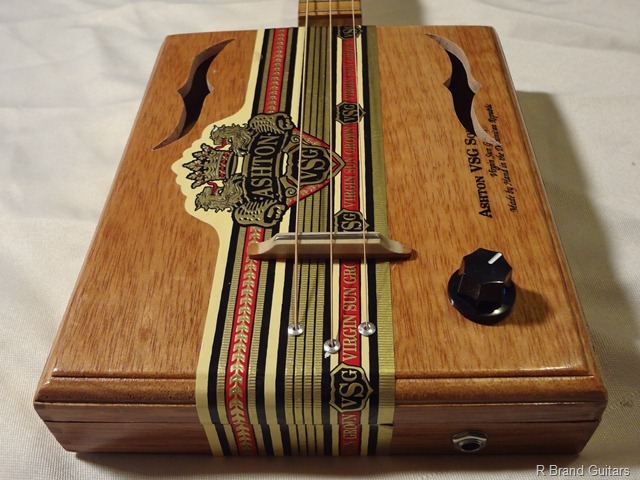 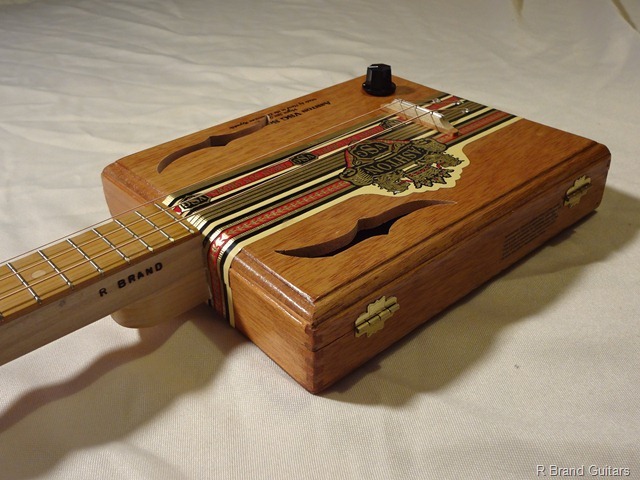 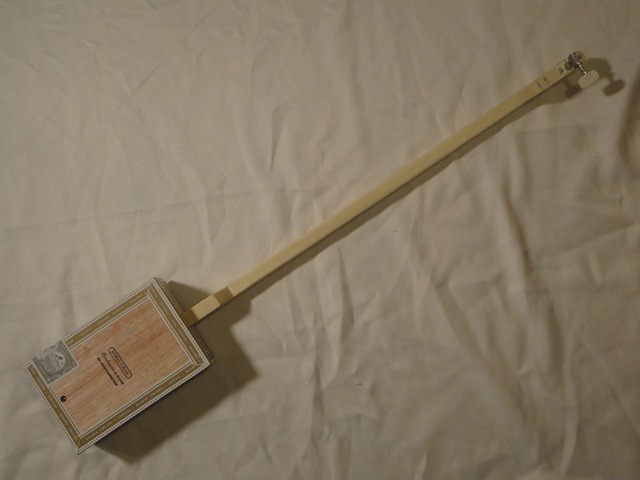 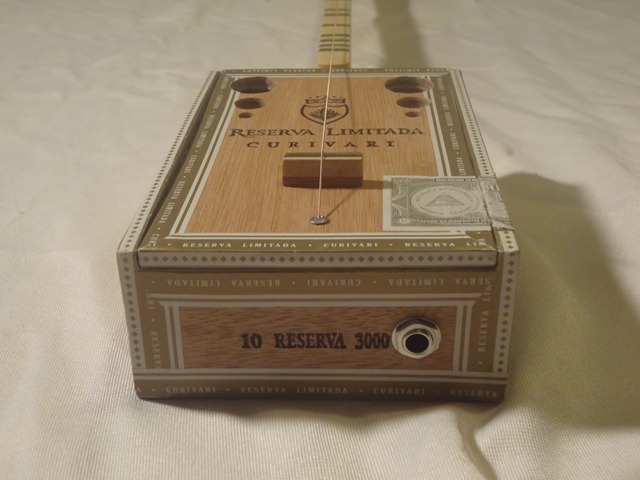 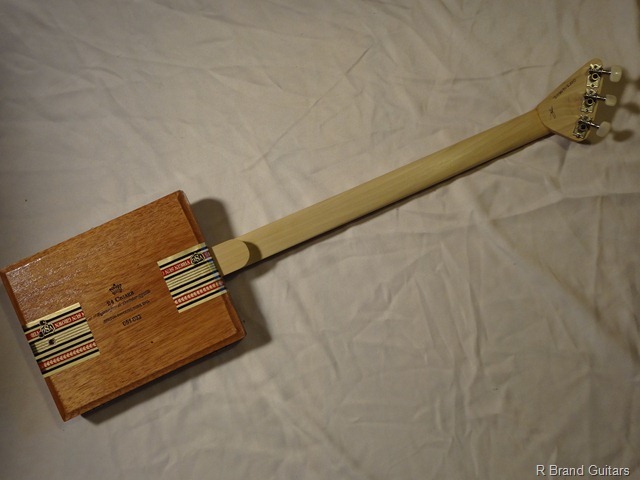 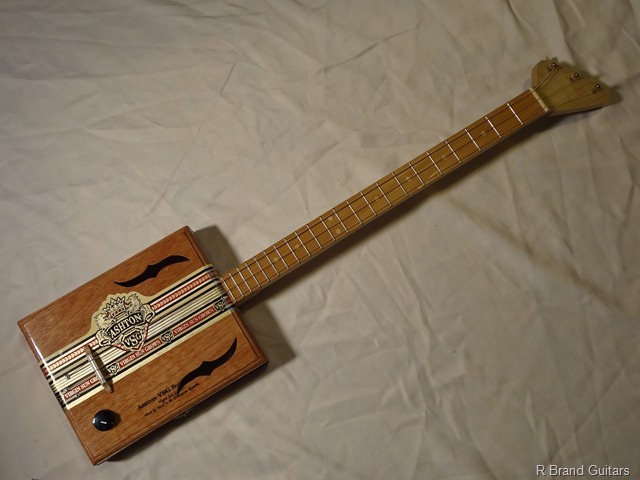 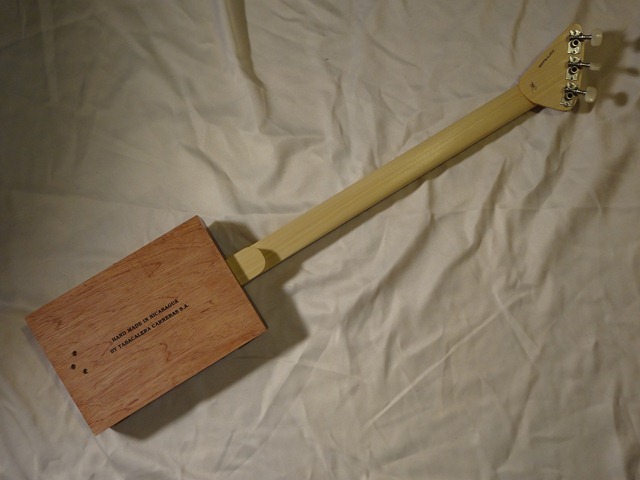 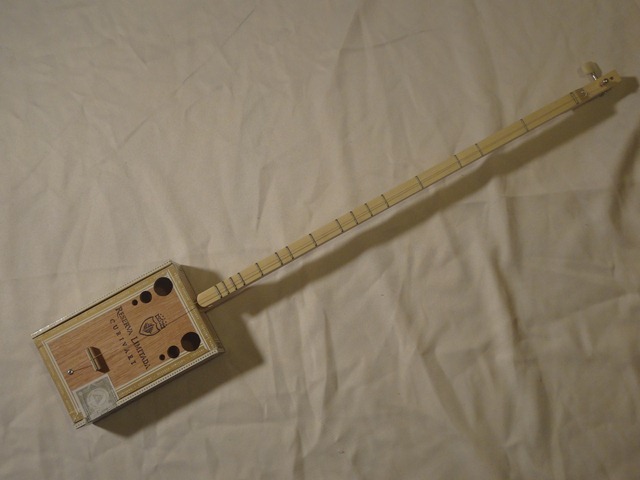 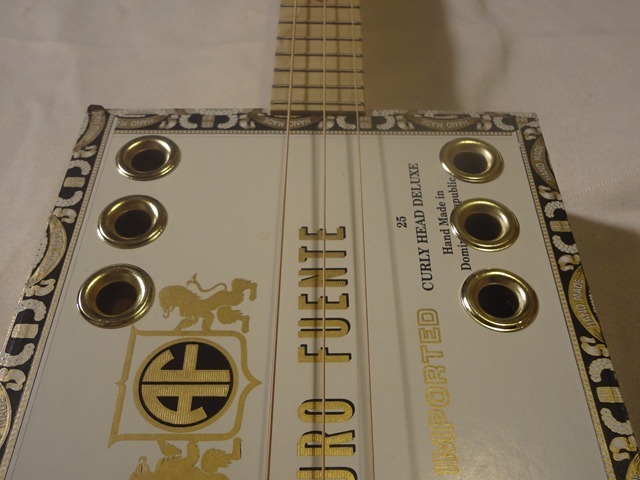 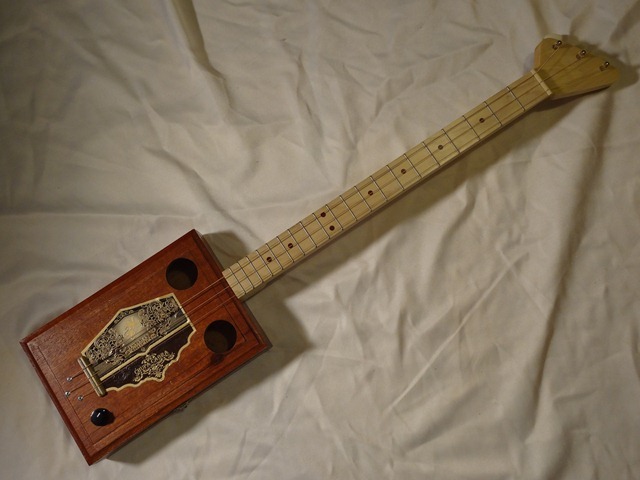 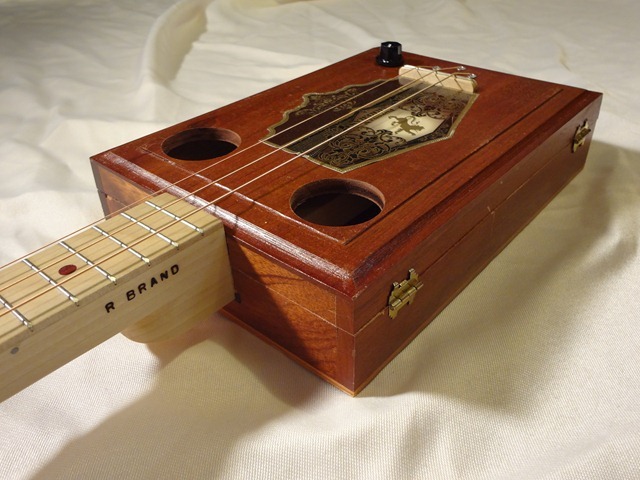 When it comes to Cigar Box Guitars you really cant go wrong with this one. 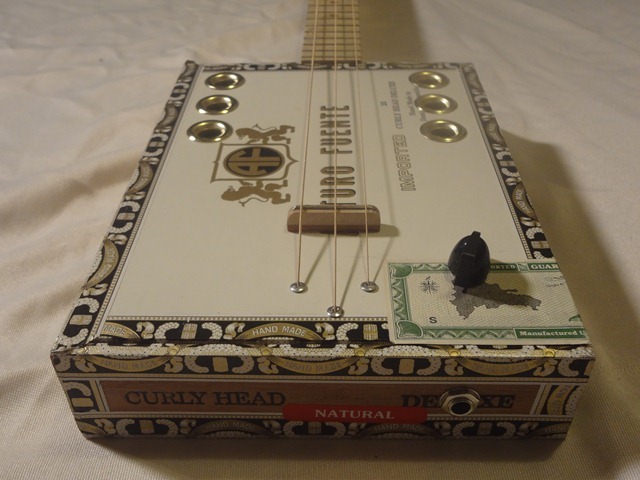 Everything you need in a CBG and nothing you don’t, the Curly Head box looks great with a cool vintage vibe, the six brass sound holes play well off the gold on the box. 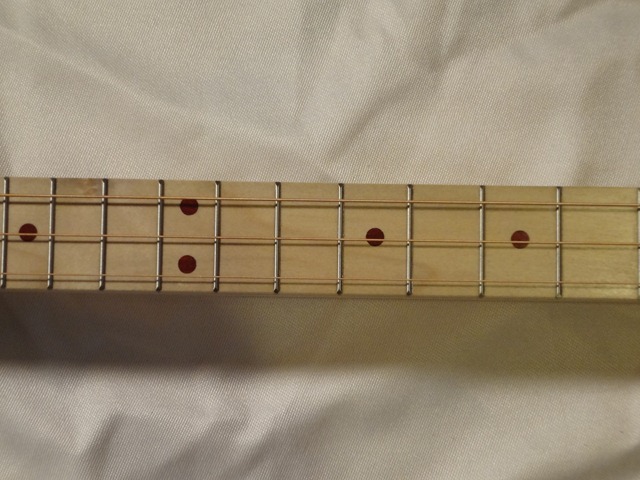 Poplar neck and fret board with Red Oak fret markers top every thing of. 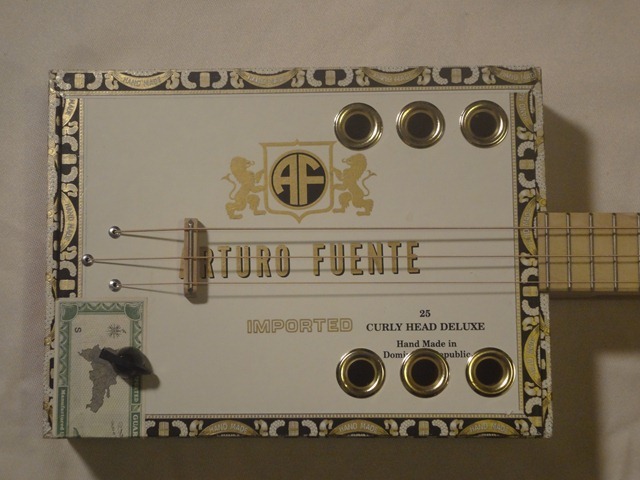 Oh and did I mention the tone? 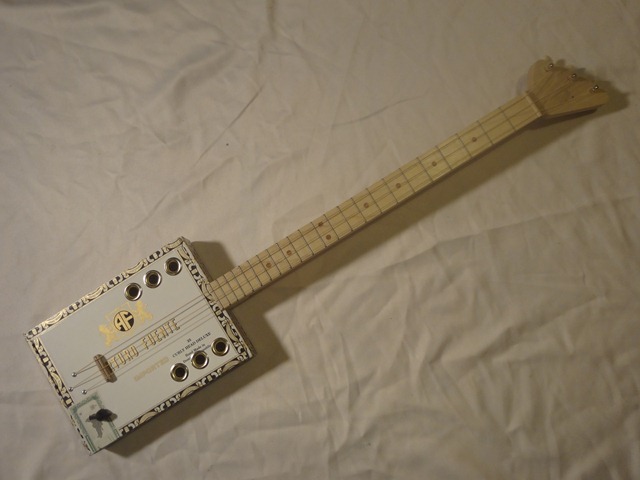 This baby has tone for days, she is not the loudest acoustically but she has a wonderful voice, plug he in though and she really shines, with a little overdrive you get all twangy, dirty CBG sound you need. 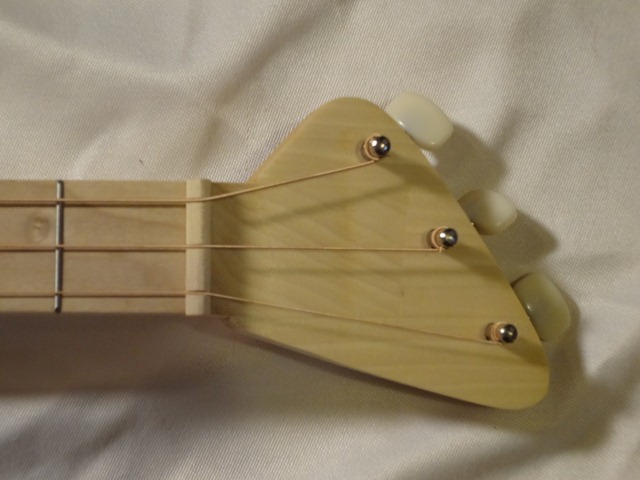 This really is a great guitar, grab one today on EBay or Etsy. 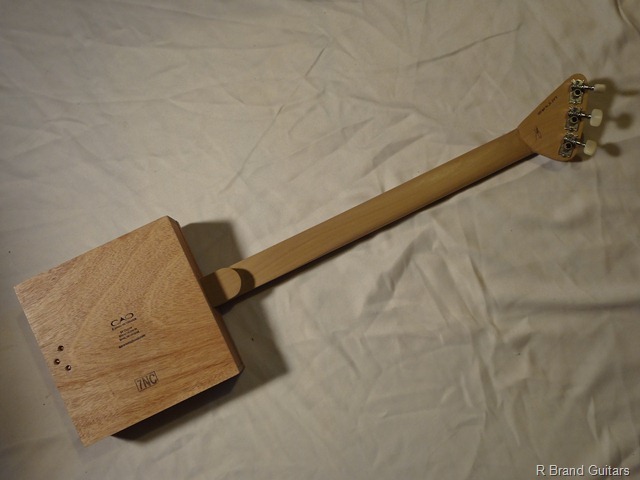 The R Brand Elves have really out done themselves this time. 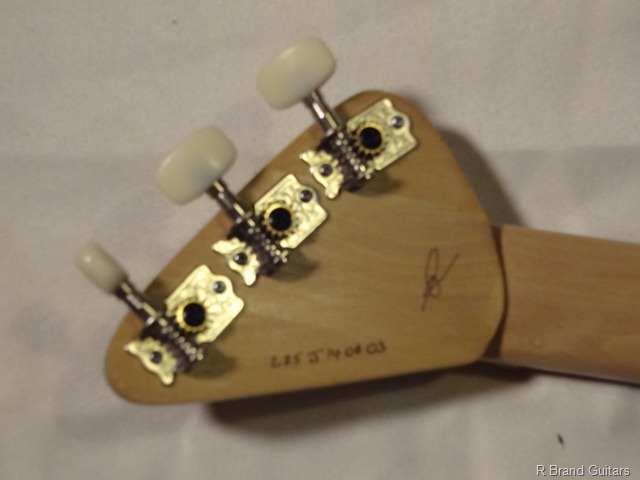 These little one stingers are just fantastic, my favorite so far. 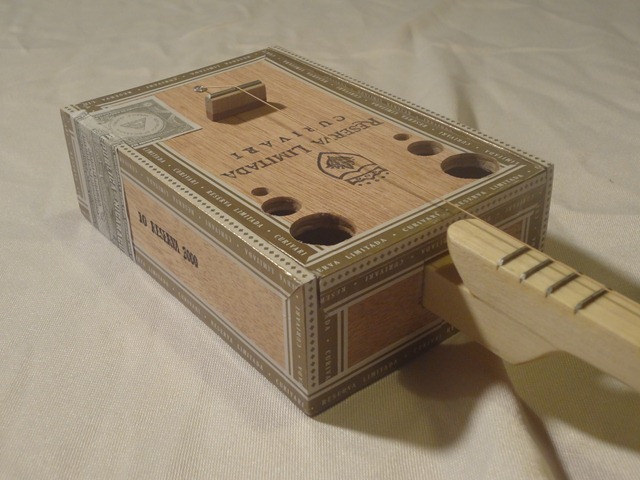 A nice roomy box gives plenty of tone and volume, six great looking sound holes let it all out, but plug her in and you cant help but smile. 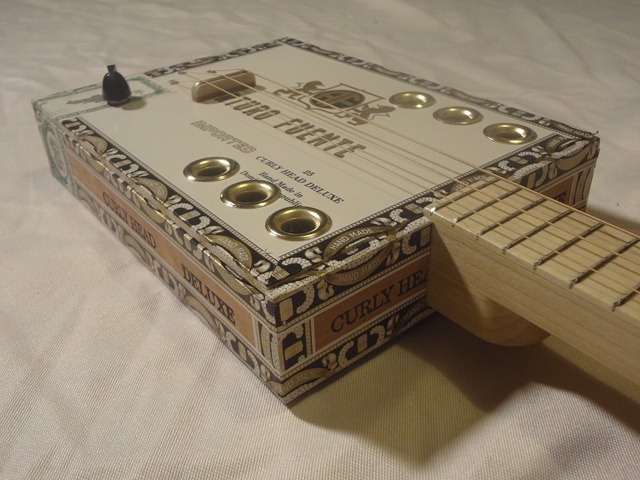 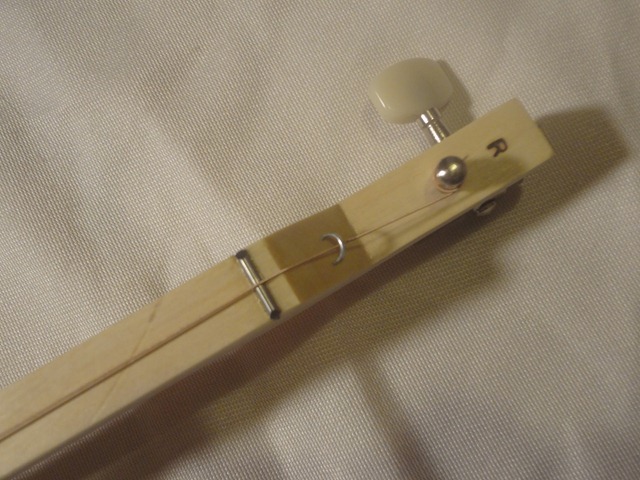 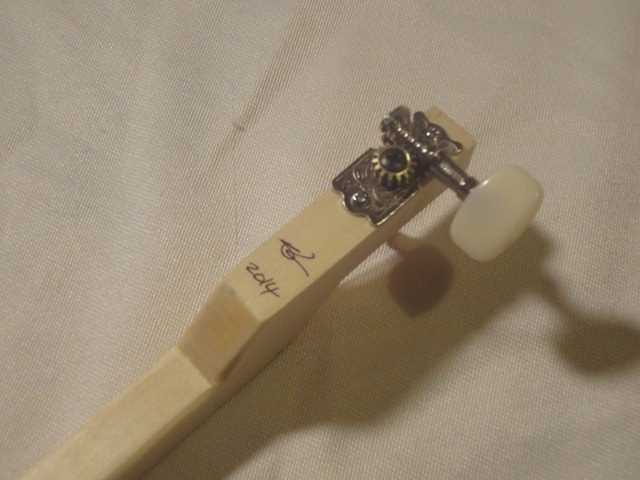 Hours of fun packed into a wonderful little instrument. 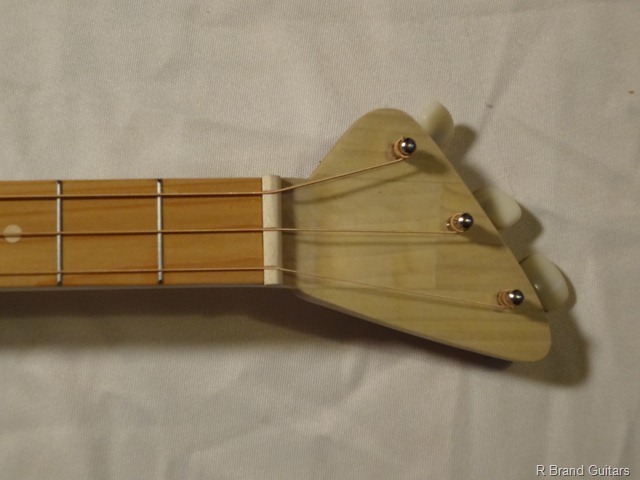 Our one stringers don’t last long so head on over to eBay and get one while they’re hot.